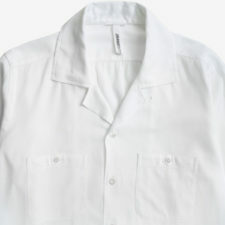 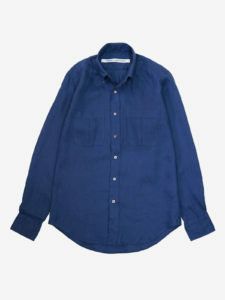 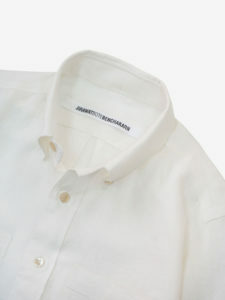 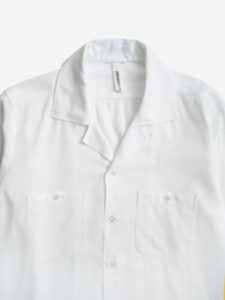 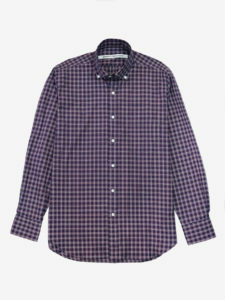 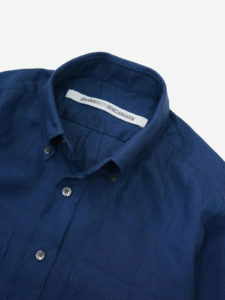 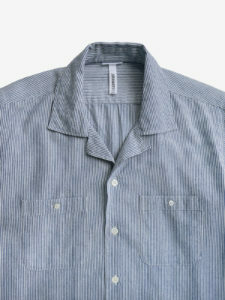 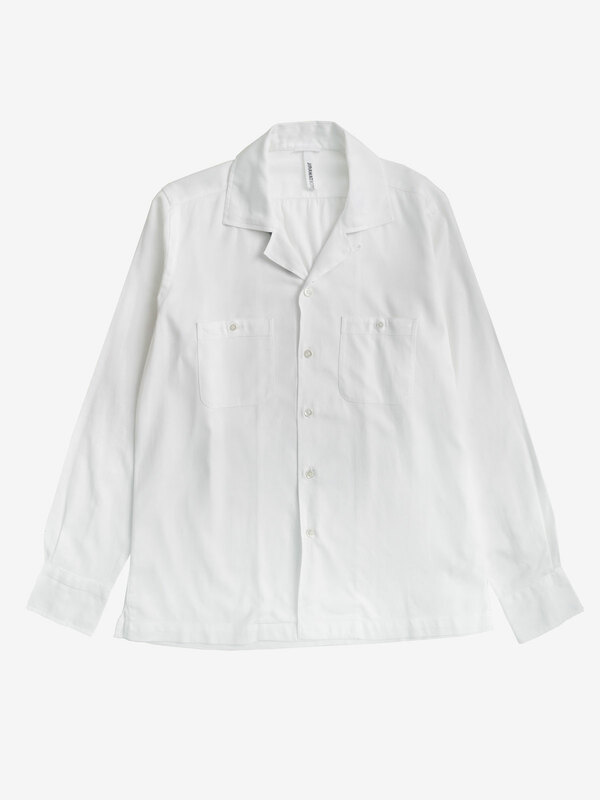 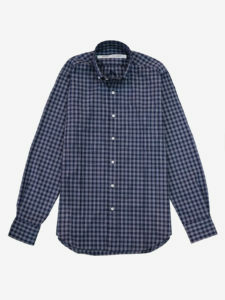 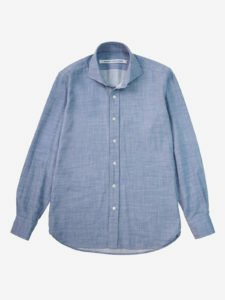 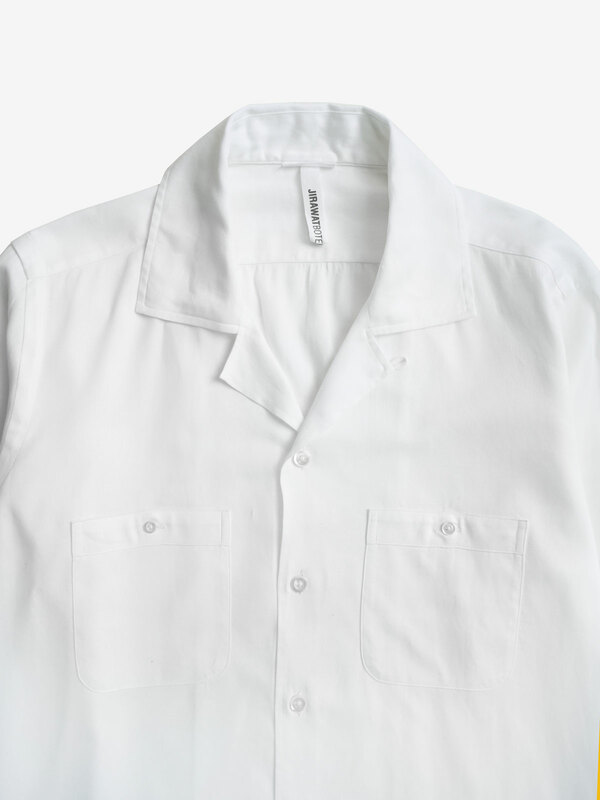 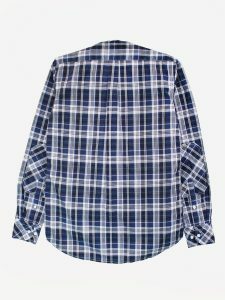 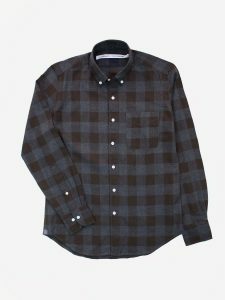 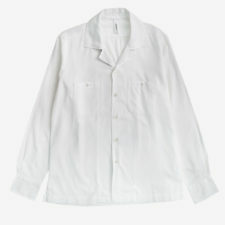 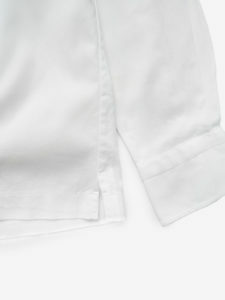 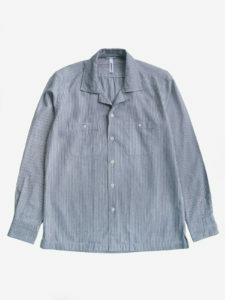 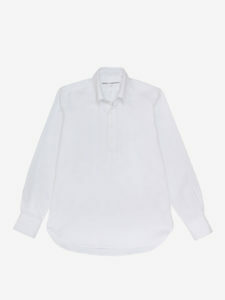 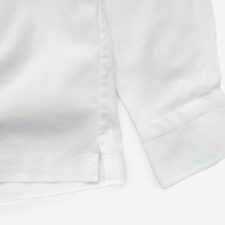 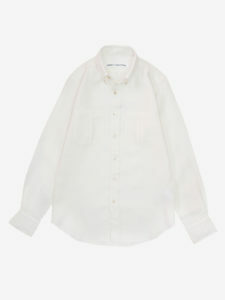 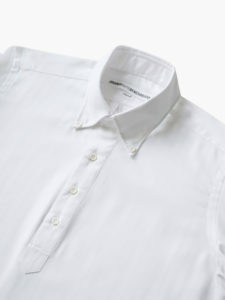 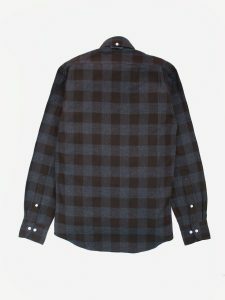 This long sleeved open collar shirt is made of organic cotton twill. 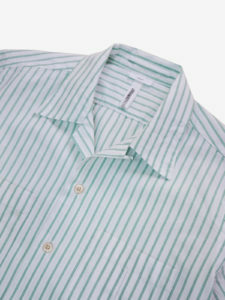 It is lightweight and drapes well for a casual look. 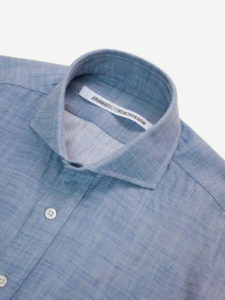 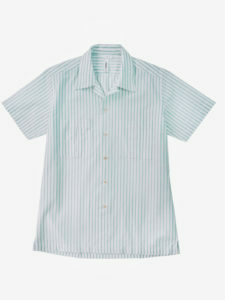 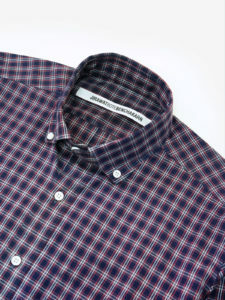 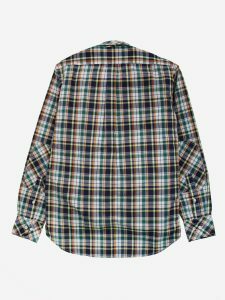 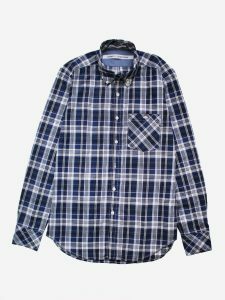 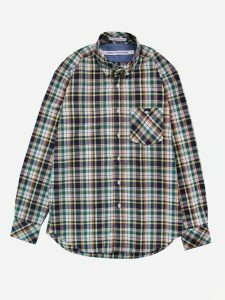 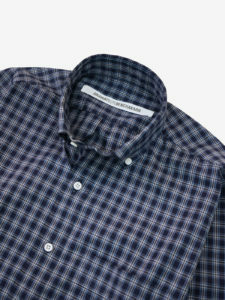 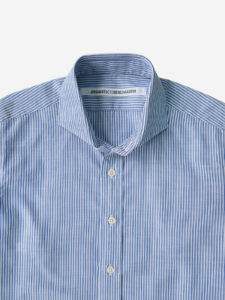 A casual fit with open collar, button opening and double pocket. 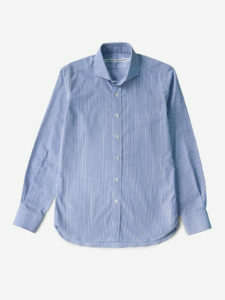 Long-sleeved with button cuffs and straight hemline with side vent.